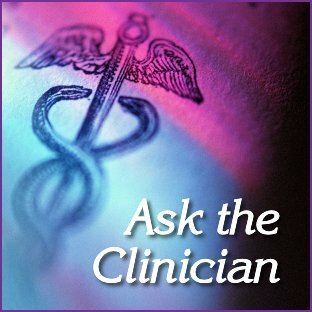 What can I do just to be normal living with migraines? I've had migraines my whole life and am almost 60yrs old. Imitrex works but of course I need them too often. I rarely miss work but I then suffer on the weekends and evenings because the migraine just takes over. My husband tells me constantly to go take care of it! I'm embarrassed to even tell anyone I have a headache but then again if I start vomiting, there's nothing I can do about that either but go to bed! As soon as the Imitrex works I feel great and I think people think I'm just looking for sympathy. Mostly I don't tell people I have a migraine anymore, but then they think I'm being unfriendly. What can I do to just be normal? Pat. We don't need to live this way when there are effective preventive treatments available. Why should we feel ill, miss out on life events, and have a decreased quality of life when these treatments are available? If we take abortive meds such as the triptans or ergotamines or any kind of pain med (even simple over-the-counter products such as acetaminophen, ibuprofen, etc.) more than two or three days a week can make matters worse by causing medication overuse headache (MOH), aka rebound. None of us want to find ourselves in the horrible cycle of MOH. If we wait until we have chronic migraine, it's far more difficult to find effective treatments. Take a look at _Chronic Migraine - Essential Information _. Resting during a migraine is best, but we can't always drop everything and rest. When vomiting is a problem, some doctors will prescribe an antinausea medication to go along with your abortive medication, Imitrex in your case. One of the most important things for us is to have a doctor who truly understands migraine disease and how to treat it and is willing to work with us as treatment partners. 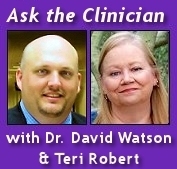 When we can work with our doctors in this way, our doctor explains our options, and we make decisions jointly. If your doctor isn't able to help you, it may well be time to consult a Migraine and headache specialist. It's important to note that neurologists aren't necessarily Migraine and headache specialists. Take a look at the article Migraine and Headache Specialists - What's So Special? If you need help finding a Migraine specialist, check the Find a Health Care Specialist on the ACHE web site and the listing of certified specialists on the _Migraine Research Foundation site _. Do you know other people with migraine you can talk with for support? If not, consider finding some. That kind of support can be priceless. If you're a Facebook member, we have a group on Facebook for information and support. Check out this group - _Migraine Management - Remedy Health / HealthCentral _. This answer has become much longer than intended, but we sincerely hope that it has helped you.